This is the perfect combination of technologies – the device itself is small enough to fit in your pocket, while the image it projects is large enough to actually see! Pico projector technology has been around in prototype form for the past two years or so, but this year at CES we’re finally starting to see some real products being released. 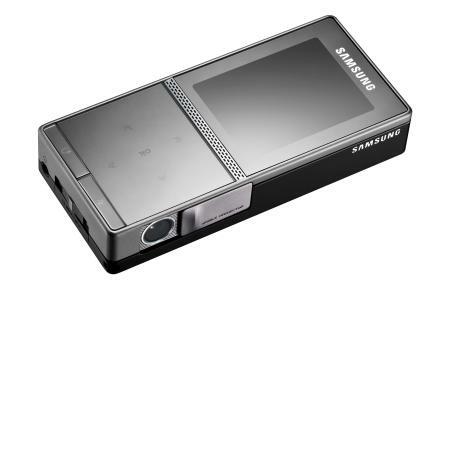 Several stand-alone pico projectors were on show, but Samsung scooped them all by including a PMP within theirs. It was assumed that pico projectors would find their natural home within mobile phones, but I guess the electronics and power requirements of a mobile phone + projector are too great for one device at the moment. A PMP, in contrast, doesn’t need the energy-sapping demands of a wireless radio, so it makes perfect sense to use it as the first device to include a pico projector. Once the technology is proven, it can then be refined and integrated into a mobile phone, probably in 2010. 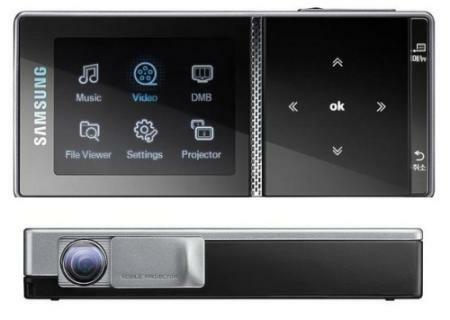 Is that a projector in your pocket?